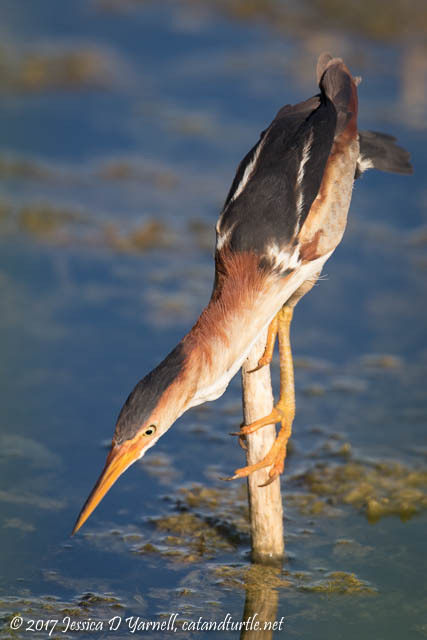 It’s strange to think of fall migration starting in mid-July, in the intense heat of our Florida summers. But the birds start to leave their breeding grounds that early. We begin to see phalaropes as they move through the state. Shorebirds begin to return to the beaches, back from the Alaskan tundra. 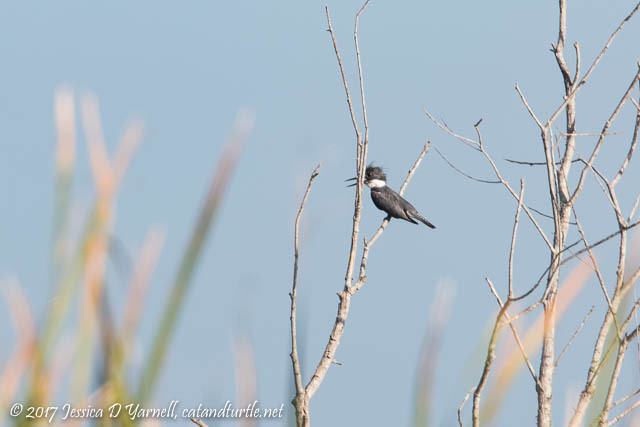 And at Lake Apopka, the first Belted Kingfisher returned to the wildlife drive! First of Fall Belted Kingfisher! My dad came with me on this particular visit to the LAWD. We got out at the Crazy U and walked around a bit. 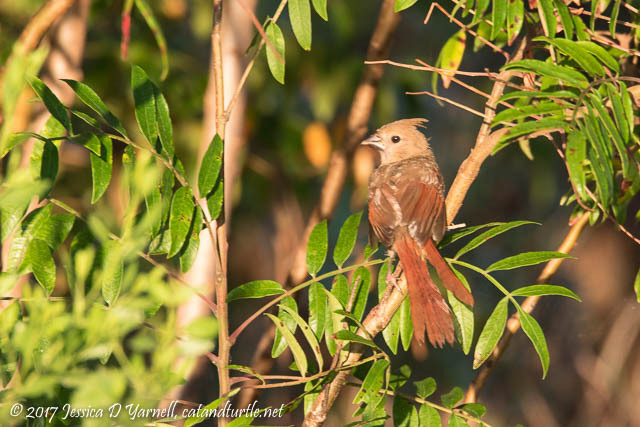 We heard a Yellow-billed Cuckoo but never saw it. Then we were distracted by a family of cardinals. The babies were very pretty in the soft morning light. 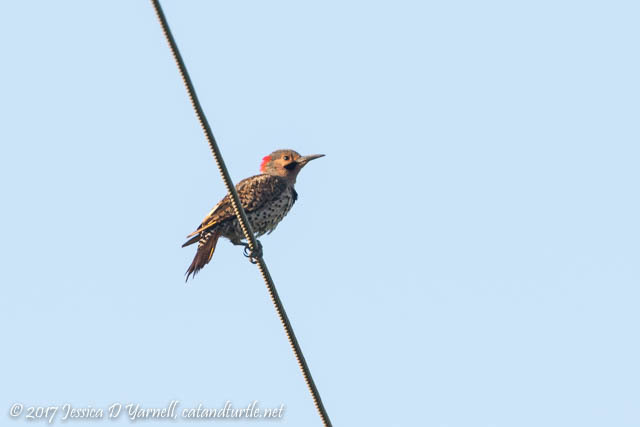 A Northern Flicker joined a family of Red-bellied Woodpeckers on the power lines over our heads. Back on the drive, we saw a Least Bittern on Welland Road. The bittern was fishing from the dead sticks sticking up in the water. My photos always seem to make the Least Bitterns seem bigger than they actually are. They like to move their tails in a circular pattern while they are stalking their prey. It’s very entertaining. 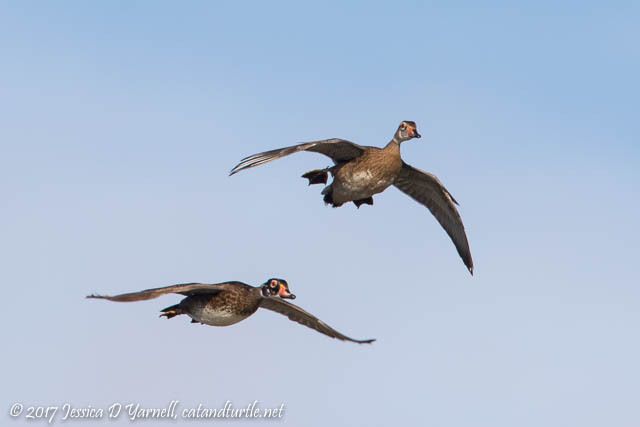 While we stalked the stalking bittern, I was surprised to see some Wood Ducks fly over. 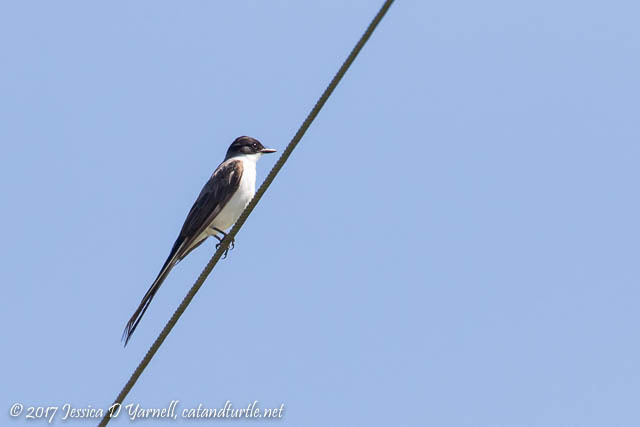 I’ve seen them reported regularly on eBird, but I’d never seen them myself. It appeared to be a male and a juvenile. The Wood Ducks were not the only birds to fly over. 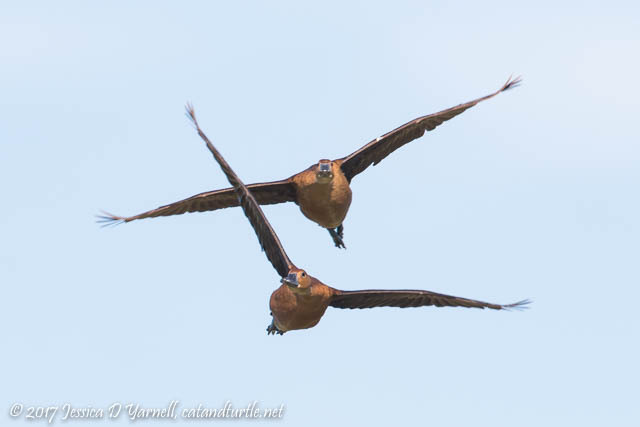 Some Fulvous Whistling-Ducks flew overhead shortly after. Even though I see the Fulvous whistlers on almost every visit, I never get tired of photographing them, especially in flight. As we neared Grebe Corner, we heard the persistent calls of a juvenile grebe. He was swimming in the water made golden by the morning light and the reflection of the nearby reeds. Such a pretty bird. He’s growing up far too quickly. It seemed like just yesterday that I photographed him as a baby at his nest. We drove Laughlin slowly, but we didn’t see any orioles or cuckoos. We heard Eastern Towhees, a Brown Thrasher, and White-eyed Vireos. 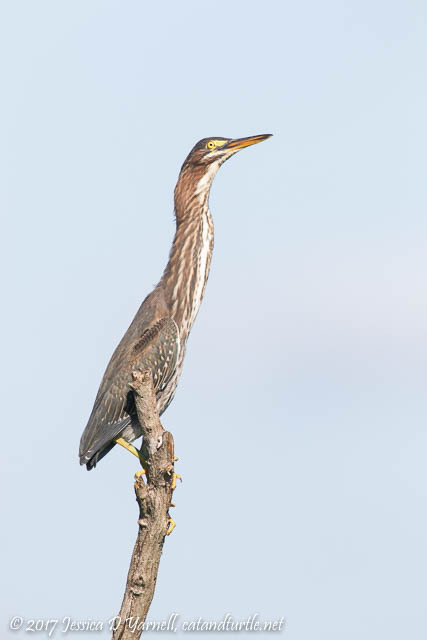 Then we came across this Green Heron perched nicely on the top of a branch. He sat for quite a long time before flying off. Wonderful images, as usual! 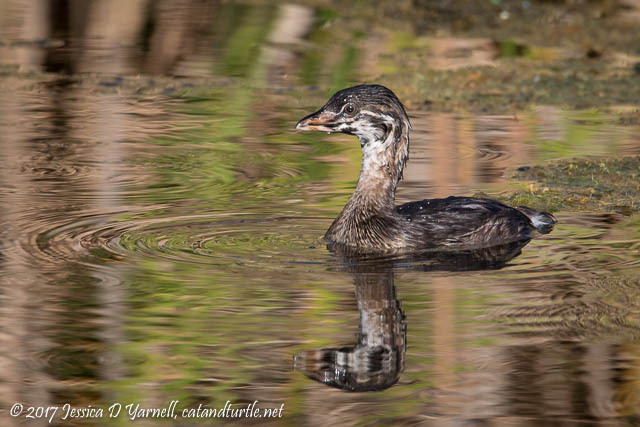 Love the young grebe! I still haven’t managed a decent photo of Forky. Oh, well, another excuse to return! That’s the best part of LAWD, it always leaves you with motivation to return. I’ve seen Forky on the wire several times now. Maybe he’s waiting for you!